Bumbung.co is the first property app in Malaysia to bring home seekers directly to you. The more listings you upload, the more potential matches you’ll get. Use code A26 and get 4 free credits (expires 30/9). Download the Bumbung for Agents app for free via AppStore or Google Play Store. To find out more about what Bumbung.co is, click here. Step 1: Download the Bumbung for Agents app from the AppStore or Google Play Store. Step 2: Create your account and key in A26 in the Code field. Select Next. Step 3: Fill in your First and Last name along with your Company details and REN ID. Step 4: Upload your listings! The more listings you have, the more potential matches you’ll get. This promotion is only valid for registered property agents in Malaysia who have not created a Bumbung for Agents account before. This promotion is valid till 30 Sept 2016. All registrations must be via the Bumbung for Agents app. 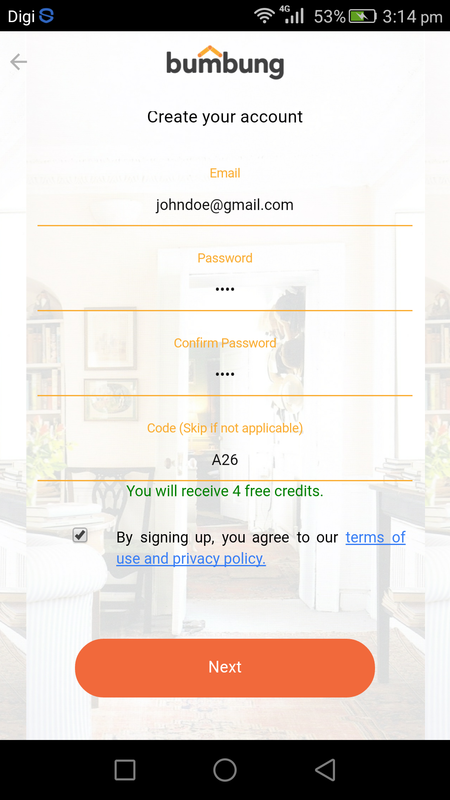 Code A26 must be entered upon registration to be eligible for the four (4) free Bumbung credits. The four (4) free credits is only valid for newly registered Bumbung property agents from now till 30 Sept 2016 using the code A26. 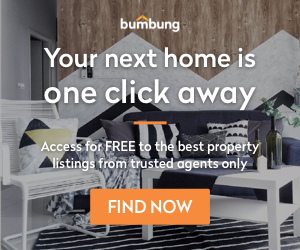 If agent is under Bumbung’s official property agencies (click here to view list), agents will not be eligible for the four (4) free credits but will get ten (10) free credits instead. Agents are only eligible for one promo. Allow up to four (4) working days for the free Bumbung credits to be credited into your Bumbung account. The promo is organised by Bumbung.co (“the Organiser”) and is open to all Malaysian citizens, permanent residents residing in Malaysia and foreigners who are registered property agents in Malaysia. The Campaign will run on 2 June 2016 – 30 Sept 2016 (“the Campaign Period”). The Organiser reserves the sole and absolute right to alter or end the Campaign at any time prior to the expiry of the Campaign Period without giving any prior notice and no compensation in cash or in kind shall be given. Registered property agents (“the Agents”) can register as a Bumbung agent by downloading the Bumbung for Agents mobile application (iOS or Android). Agents are required to include their name, mobile phone number, email address, company details and REN ID for further communication and verification purposes.